If you would like to create a page that just displays the jobs in a list without the map follow the steps below. Create a new page by visiting Pages > Add New. 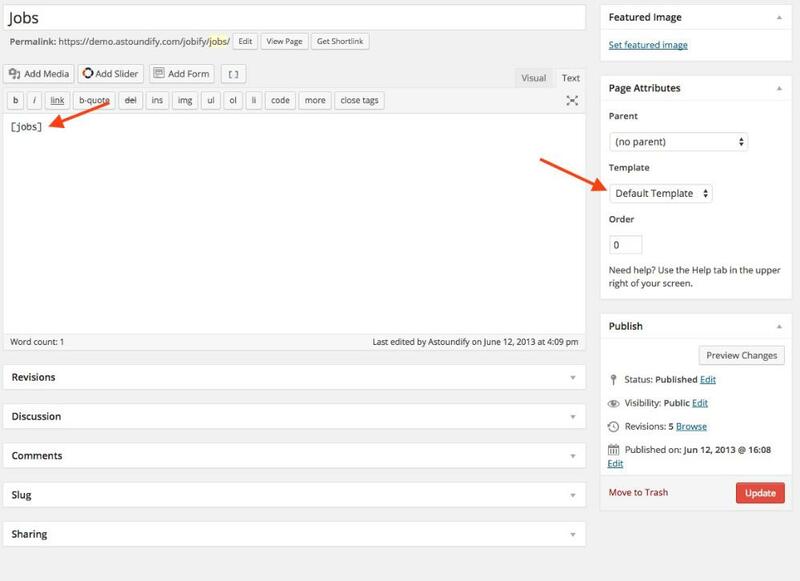 Give the new page a title, and add the shortcode of [jobs] to the text area, and select "Default Template" from the Page Attributes window. Finally, click the "Publish" button.